I need to create flattened patterns of compound curve surfaces that I can then CNC plasma or CNC laser cut blanks in sheetmetal. The blanks will then be hand shaped by adding stretch to the sheetmetal in the correct amount and in the correct places. I would need DXF files for cutting the sheetmetal. The four sheetmetal sides would be welded together to make the whole. This is a lofted surface made by two squares separated by 12". The top square is 6 inches and the bottom one is 12inches. 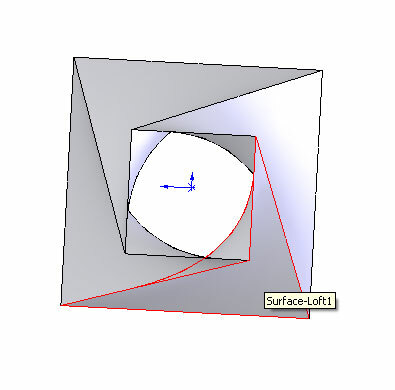 Here are two views, as you can see the surfaces are lofted with a 90 degree rotation. The question is can UV Layout create an ideal blank size that will allow me to add the required shape and then the four sides will fit together with a minimum of fitting. 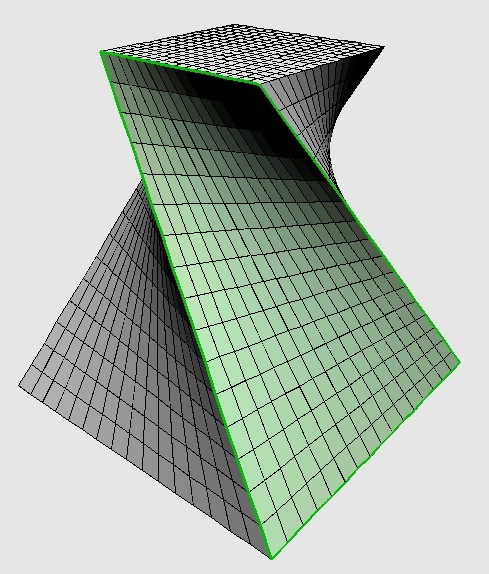 Can anybody on the forum create this shape as described and then email me a DXF file of the flattened blank? I only need the one surface, which I will cut four times. If this works I will definately purchase the software. but maybe you can trace over that image to create your template? a DXF output for the UVs I think. 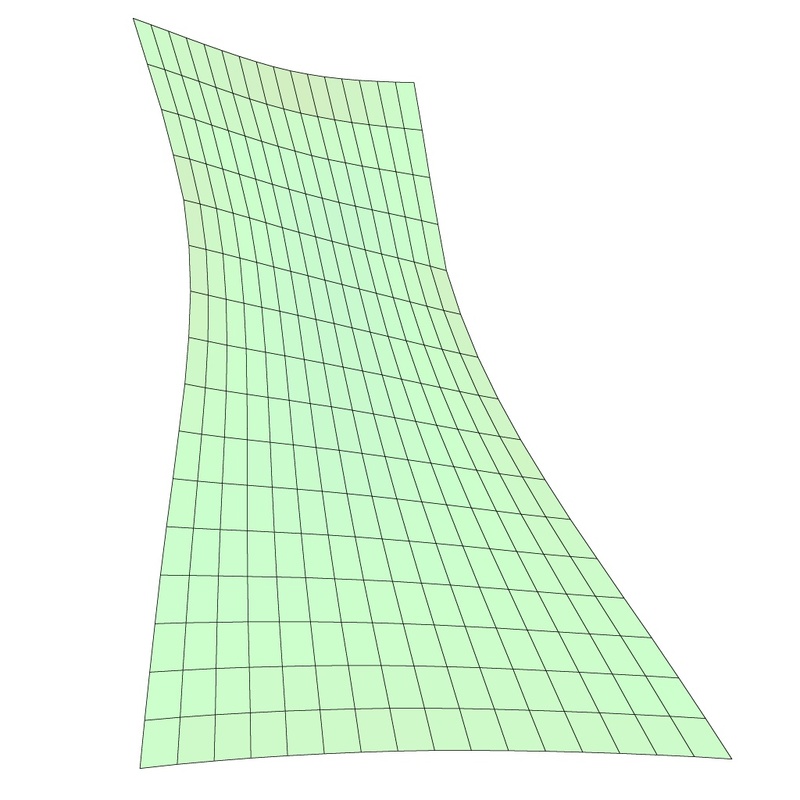 with texture coordinates may not work for physical manufacture. Thanks!! I'll trace your jpg. and then create a DXF from the tracing as you suggested. 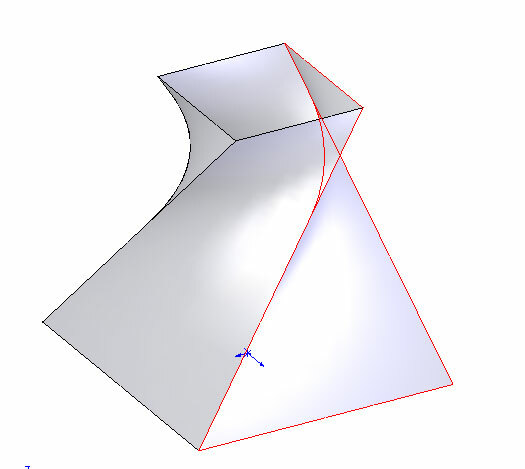 This shape looks sort of simple but it really is a radical shape that needs quite a bit of edge stretching of the sheetmetal for it to fall into place. I will CNC cut it out of .050" aluminum to see how it works out. The ideal will be to have the four panels fit together perfectly on their edges, after the same amount and location of stretch has been added to each panel. If UV Layout could output a flattened DXF file that would be fantastic. I will get back to you with pictures of the results. I traced your jpg. with Illustrator and exported the file as a DXF. I have yet to cut it out, maybe tonight, but it looks like it's very close to what I need. Last week I had manually developed a pattern using sliced paper and your pattern looks almost identical. 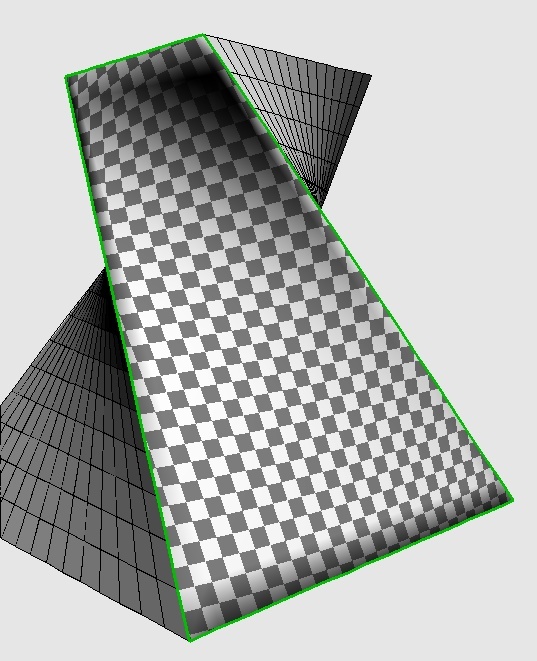 Can you post a screen shot of the shape showing the red and white checkerboard pattern on it? How long does it take to come up to speed using UV Layout? Looks like I will be ordering soon and I know a few more like minded folks that I will steer your way. Do you think adding a DXF export option in UV Layout will be a done deal ? ...Can you post a screen shot of the shape showing the red and white checkerboard pattern on it? How long does it take to come up to speed using UV Layout? could look at incorporating that as a new tool into UVLayout. I've just added it to my list ... I'll try and get it into the next release!